It is with great sadness that we announce the passing of Charles Merle Fischer on August 11, 2018. Charlie, as he was known, was born February 24, 1922, near Wessington, South Dakota, to Charles Hoppetz Fischer and Caroline Josephine Muehleisen. He was the fourth child, and last surviving, of six children including Helen, Ancil, Cecil, Calvin and Leland Fischer. 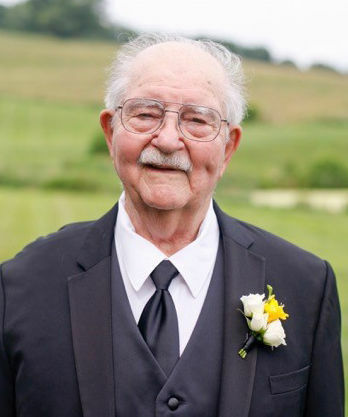 He graduated from Wessington Springs High School in 1939 and South Dakota State University in 1943 with a degree in Poultry Science and Agricultural Economics. He served in World War II in the Pacific, stationed in Honolulu, Hawaii, and was honorably discharged in 1946. During the war, Charlie corresponded with Lillian Huether, a friend from home in South Dakota. On Easter Sunday, 1945, Charlie and Lillian became engaged. They married on January 6, 1946, in the chapel at Fort Shafter. Once discharged from the service, they returned to the mainland. They lived in Ames, Iowa, for one year while Charlie completed his Master of Science degree at Iowa State University. He graduated in August 1947, and they moved to Corvallis, where Charlie began his academic career at Oregon State College (now University). During his 38 years at OSU, he enjoyed great success, receiving many awards from the turkey and broiler industries, including the prestigious Pfizer Extension Award for developing and conducting the best Extension poultry program in the U.S. over a three-year period. He also developed a plan to establish a poultry industry in Yemen. Throughout his long career, he published over 120 research articles. Charlie retired with emeritus status in 1985. Charlie then focused his time on a volunteer project through Bridge Builders International. He initiated the Latvia Project to help small farmers across eastern Latvia establish sheep farming for market production. He considered this his most important project during his lifetime. In addition to his volunteer work, Charlie also enjoyed several hobbies during his retirement. He was an avid gardener as well as a history buff. He read voraciously daily, often with classical music playing in the background. Throughout their 64 years of marriage, Charlie and Lillian lived on a 30-acre cherry and Christmas tree farm in the Lewisburg area. They enjoyed raising six children, and as the years passed, celebrated the additions of grandchildren and great-grandchildren. Charlie and Lillian loved spending time with their large brood and took great pride in their accomplishments. Charlie is survived by all six children, Carolyn Ohlhauser, Barbara Strickland, Janet (Tom) Kallio, Charles (Lois), Stephen (Viki) and Denise (Tim) Cross; thirteen grandchildren; and eight great-grandchildren. He was preceded in death by his wife; a son-in-law; grandchild; and three great-grandchildren. Memorial contributions for Charles can be made to the First Baptist Church of Corvallis Mission Fund. A memorial service will take place at 2 p.m. on Monday, August 20, at First Baptist Church, 125 NW 10th St. in Corvallis. A private graveside service will follow at Twin Oaks Memorial Gardens.